Ten seniors will each receive the $5,000 2018 Exceptional Youth Scholarship in recognition of outstanding academic achievement and community service. 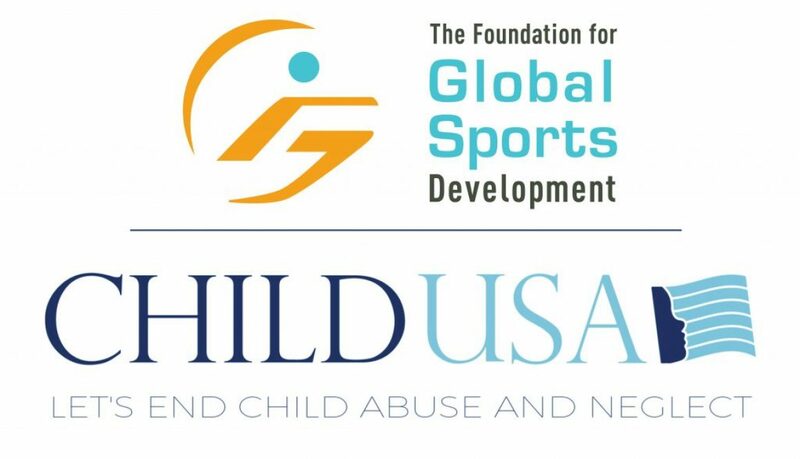 Los Angeles, Calif. – March 6, 2018 – The Foundation for Global Sports Development (GSD) has opened the application round for the 2018 Exceptional Youth Scholarship. The foundation created this scholarship to support outstanding youth as they further their education and strengthen their futures. 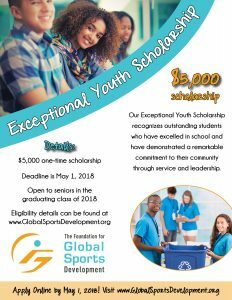 Apply for the 2018 Exceptional Youth Scholarship by May 1st! High school seniors graduating in the class of 2018 are eligible to apply for this one-time scholarship of $5,000 to be applied towards the cost of attending an accredited four-year college or university in the United States. The ten scholarship recipients will have demonstrated remarkable academic performance and a commitment to community service. In addition to scholastic performance and volunteerism, the scholarship committee will also take the students’ financial need into consideration. Applications for the scholarship will be accepted March 5th through May 1st. GSD is committed to continuously supporting programs and initiatives that celebrate exceptional youth. 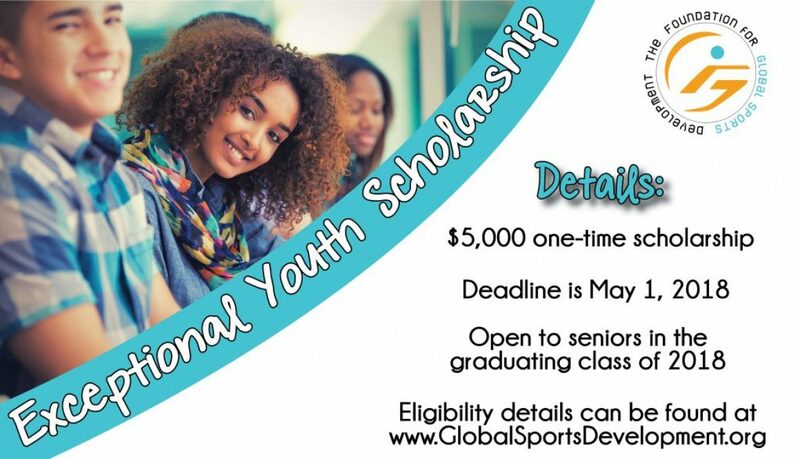 For further details on the scholarship award, eligibility and application process, please visit GSD’s website at www.globalsportsdevelopment.org.